Healthcare Payment Specialists' Board of Directors have selected current president, Todd Doze, to assume the additional responsibilities of CEO and continue to lead the evolving and expanding company. We are focused on the work we have ahead of us to become a provider of technology solutions that helps providers and payers exchange financial and clinical information in a more efficient and accurate manner. 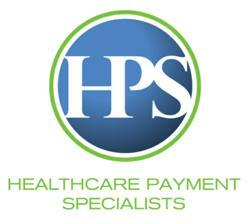 Healthcare Payment Specialists, LLC (HPS), the government reimbursement solutions expert and developer of the revolutionary SaaS based Revenue Intelligence Platform- Stingray™, announced that current president, Todd Doze, will assume the additional responsibilities of CEO and continue to lead the evolving and expanding company. Mr. Doze assumed the role of president in October of 2011 and successfully led the company through a strategic repositioning and reorganization. With diverse experience in healthcare finance, Todd Doze has demonstrated expertise in all aspects of HPS’ business. “I am excited about where HPS is positioned in the marketplace today and where we are headed tomorrow. We are well equipped and focused on the work we have ahead of us to become a provider of technology solutions that helps providers and payers exchange financial and clinical information in a more efficient and accurate manner,” Doze stated.